Can you believe it? Flash Fiction Armagh is a year old this month and what a year it’s been. For me personally, the highlight of this year/project has been the friendships that have begun and strengthened as a result of Flash Fiction Armagh. We have a vibrant writing community in Armagh and its surrounding areas, reaching as far a field as France, and Hungry to the East and West as far as the USA. 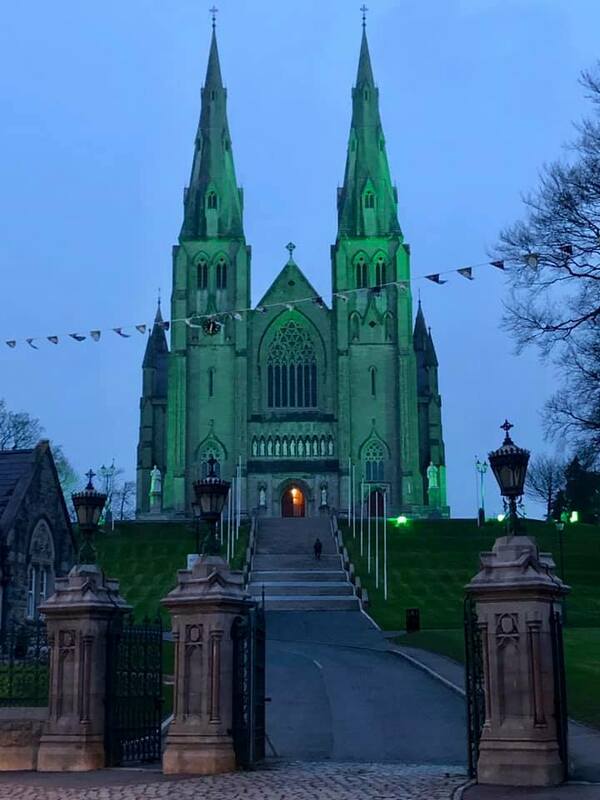 Photogragh by Chris Wright of St Patrick’s Cathedral, Armagh across the road from Mulberry Bistro where Flash Fiction Armagh at St Patrick’s Festival took place. Flash Fiction Armagh at St Patrick’s Festival served up a smorgasbord of literature spanning genres from the marital problems of leprechauns being married to Banshees, sharp observations of “one for the road’ syndrome, Dinosaurs as gaelige, scary night-time stories, the mystical drawn of our lovely Armagh, David Attenborough visiting the wilds of Tyrone, the effects of desperately wanting a ring (my preeecious! ), dealing with old age, avoiding with marriage for eternity, the digital age in the office, historical send-offs, sojourns with the ancients, and the horrors of homelessness. I think we covered quite a lot and if you don’t believe me, have a look for yourself on our Flash Fiction Armagh at St Patrick’s Festival page to watch footage of many of the readings. Sure what better way to relax between festivities this week. Hope you have a happy St Patrick’s Day!